COME SEE THE PINTOS ! 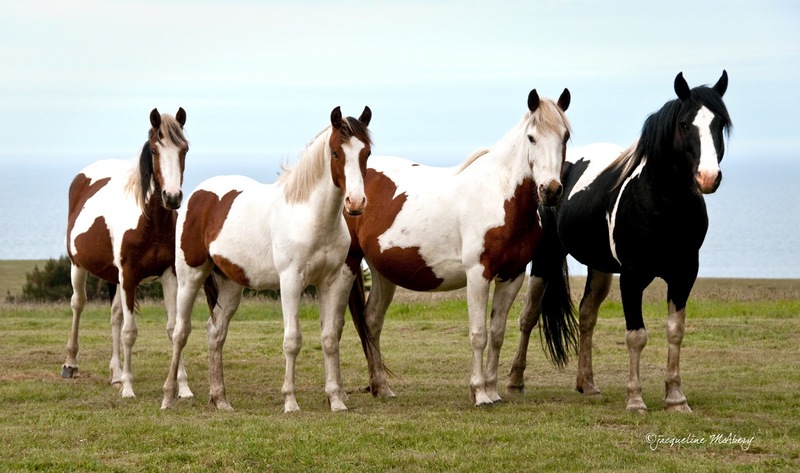 GET YOUR EQUINE QUESTIONS ANSWERED BY JOHN FLING D.V.M. ENTRANCE TO THE EVENT IS WITH PRESALE TICKETS ONLY. 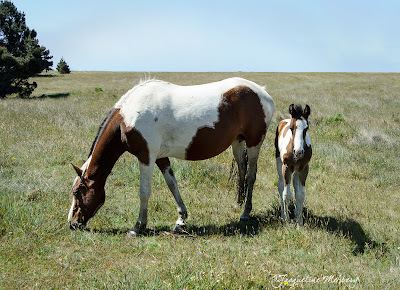 HORSE TRAINER KATHE SMOTHERS, AN ONGOING STUDENT OF BUCK BRANNAMAN FOR TWENTY YEARS, WILL DEMONSTRATE THE WORK SHE IS DOING WITH THE PINTOS IN THE ROUND PEN. OUR VET, DR JOHN FLING WILL JOIN KATHE IN ANSWERING QUESTIONS. THE PRICE OF YOUR TICKET INCLUDES PARTICIPATION IN THE RAFFLE AND YOU MUST BE PRESENT TO WIN. 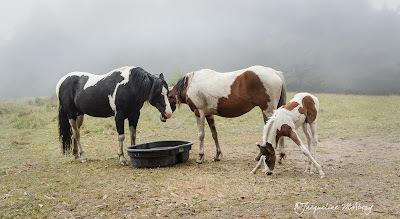 · FREE ONE HOUR LESSON WITH KATHE WITH YOUR HORSE AT A LATER DATE. 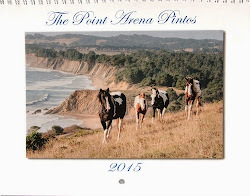 T-SHIRTS , THE POINT ARENA PINTO BOOK, 2014 CALENDARS, POSTERS AND OTHER PINTO RELATED ITEMS WILL BE FOR SALE AT THE EVENT. WHEN YOU PURCHASE YOUR TICKET YOU WILL BE GIVEN WRITTEN DIRECTIONS AND ADDITIONAL INFORMATION. *NOTE PRIUS HYBRID CARS CANNOT MAKE IT UP OUR ROAD. 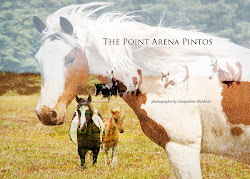 FOR UPDATES VISIT :http://pointarenapintos.blogspot.com. 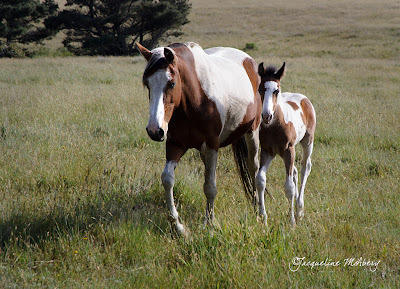 On May 17th Mama gave birth to a new colt, Majestic. We have not had a new colt for three years. Here he is 9 days old and is very curious and serious. He is just precious and it was love at first sight for all of us. 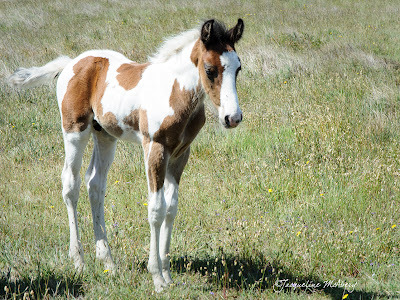 He has a special presence and he is going to be very big, thus the name Majestic. Majestic's eating with his parents, Thunder and Mama. His legs are so long that he has to spread them out in order to reach the grass. LOL.